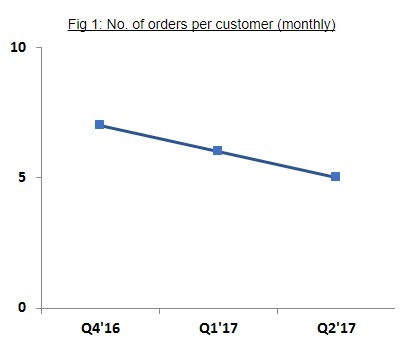 E-tailing: E-tailers see an increase in delivery times in Q2CY’17. 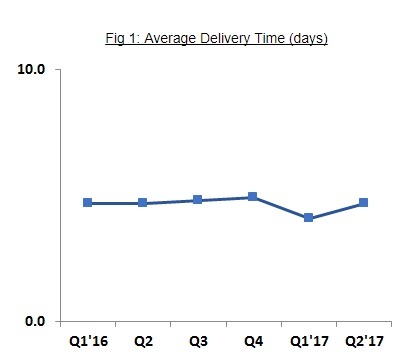 Average delivery time increased in Q2’17 and reached Q2, Q3’16 levels. Shipments handled by industry in Q2’17 were ~10-12% higher than Q1’17, leading to a slower delivery performance from both captives and 3PLs. Fashion E-tailing: Fashion E-tailers see fall in contribution margins in Q2CY’17. Online Mobility: Online Cab Aggregators see fall in consumer booking experience with supply crunch. 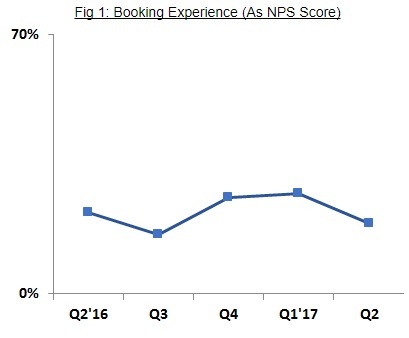 Customer booking experience declined in Q2CY’17, due to decline in availability of cabs during peak hours. 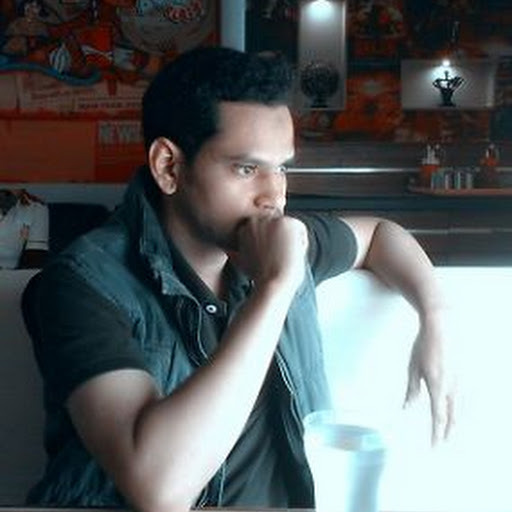 With declining number of partner drivers, the players faced a supply crunch in peak hours. 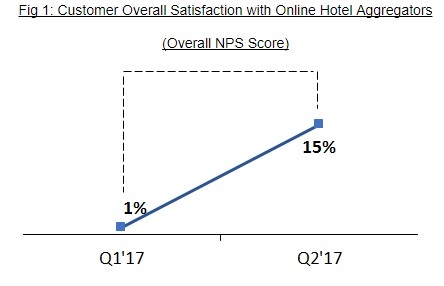 Hotel Aggregators: Consumer Satisfaction sees an improvement of 1400 bps. Q2CY’17 showed a significant improvement in consumer satisfaction. Food-tech: Increasing adoption brings down the order per customer in Q2CY’17. Mobile Wallets: Registered user base increases by 9% in Q2CY’17. “More number of people register on mobile wallets platforms, though at a slower pace now as cash re-entered. Overall registered users on mobile wallet platforms increased by 9% as compared to Q1’17 and 23% as compared to that in Q4’16,” report further added.